Matt Garcia was a man with a vision. 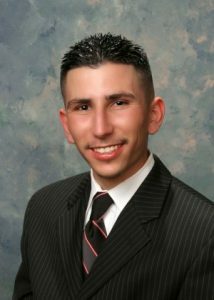 He was the youngest city councilman elected in the state of California in November 2007. Matt was a great young leader and inspiration to all who knew him. Matt was only 22 years old… but, he lived more in those short years than many adults can even imagine. He led by inspiration, with integrity and ambition. Matt’s dream involved supporting the youth and creating places for them to go and things for them to do; Changing a culture of violence and crime in the city through youth involvement. By uniting a community all people will have a sense of belonging and responsibility to the city of Fairfield. Matt’s life was cut short, but his legacy, work and heart live on. The Matt Garcia Foundation was established to carry out Matt’s dream. We are dedicated to the work and efforts that Matt started and hope that we can inspire others to be the change in this world we live in, just as Matt inspired us. Matt’s vision has guided us, but we need continued support from all of you to make his dream a reality. A commitment to changing a culture of violence and crime in Solano County. Together we can continue Matt’s efforts and make his dream our reality. Support Youth, Stop Crime, Strengthen Our Community from Chris Jordan-Bloch on Vimeo.